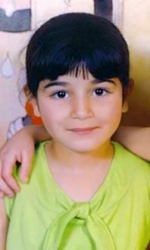 On July 6, 2009, you stated in regards to Mordechai Vanunu, that his "case is still generating great interest, like any other security-related case. The media's attention he gets is proof of that." On Vanunu's Wiki page http://en.wikipedia.org/wiki/Mordechai_Vanunu , I counted a quick dozen footnotes to articles that I have written since 2007 from my interviews with Vanunu-and not in one did we discuss '"security-related" issues or nuclear weapons-but we did talk about his faith, human rights abuses by Israel, the Christian Exodus from the Holy Land and the news pertaining to his freedom of speech trial. 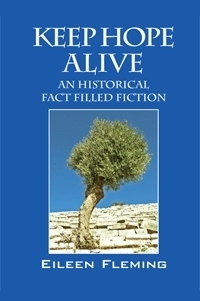 The enclosed book relates only my first four trips to Israel Palestine. I have been back three more times since it was printed and I encountered a different Vanunu each time. I still have not written things he told me in 2005-and NOTHING he said referred to "security-related" issues or nuclear weapons. Everything he said proved to me how severely he was tortured during 18 years in Ashkelon. Those stories are only for Vanunu to go public with: I will not. But, knowledge brings responsibility and when I last saw my brother in JC on June 14, 2009, it broke my heart all over again to see his ongoing suffering-and he never complained-I am sharing with you what I saw and what I feel is that the ongoing injustices against him are because he is a Christian, and THAT is the story I will persist to write and speak about, until I can write my last chapter about VMJC: Thank God Almighty he is FREE NOW! Yours persistently, most sincerely and in solidarity with Micah 6:8: "What does God require? He has told you: Be just, be merciful, and walk humbly with your Lord." 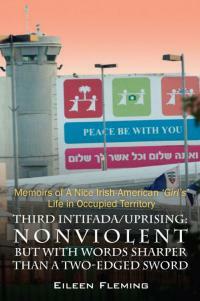 And a copy of "Memoirs of a Nice Irish-American Girl's Life in Occupied Territory"
I reached the voice mail of Public Affairs in Jerusalem RE: wanting to dialogue with Dorit Beinish, President Supreme Court of Israel as I am sure she referred to me as media who has been interested in reporting on Vanunu. I am the USA media who has been reporting on Vanunu since June 2005, but never about security related issues. My interest in Vanunu has always been about the person he was and is and how his faith helps him endure the denial of his inalienable human right to free speech and movement. 9. ^ "Vanunu Writes to the Nobel Peace Prize Committee: 'I cannot be part of a list of laureates that includes Shimon Peres'". thepeoplesvoice.org. 2 March 2009. http://www.thepeoplesvoice.org/TPV3/Voices.php/2009/03/02/vanunu-writes-to-the-nobel-peace-prize-c.
"I am not harming Israel. I am not interested in Israel. I want to tell you something very important. I suffered here 18 years because I am a Christian, because I was baptised into Christianity. 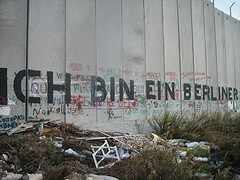 If I was a Jew I wouldn't have all this suffering here in isolation for 18 years. Only because I was a Christian man." 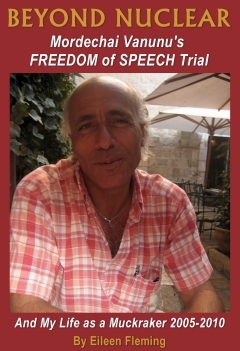 On my site alone are 2005, 2006, 2008 video interviews with Vanunu and reports from day one of his freedom of speech trial. As a reporter, I am asking the Court what can Israel gain by detaining Vanunu-other than the bad publicity generated through the internationals who will meet him? I am pleading with the High Court to be just and merciful and put an end to the Vanunu Saga and reap good PR, by allowing him his right to leave Israel and have the opportunity to fade away into history, instead of continuing to make it.